Create stunning websites using WordPress, without having to learn programming. For anyone who may not be technically-minded but wants an affordable website for business or for blogging. View or download the first chapter and Table of Contents - FREE! WordPress is the most popular CMS (Content Management System) and is a fantastic tool for blogs and building websites. It is used by over 50% of the 100 top world blogs, and there are estimated to be over 69 million WordPress websites (as of late 2013). 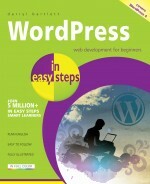 Many bloggers/web developers are turning to WordPress to create great websites. It has the ability for people of a non-technical background to create their own website/blog in easy steps, all the way up to advanced web developers to create stunning professional designs. There are over 100,000 new WordPress websites created every day. It is becoming a lot easier to build websites thanks to this fantastic platform. Bloggers/Hobbyist web designers, or anybody out there looking to design a website who doesn’t want to learn technical language, or bloggers looking for a great platform to work with. Web Developers: A lot of professional web design companies are using WordPress to build their websites for clients because it provides a great content management system so that the end user can add their own content once development is complete. Anybody who has had a WordPress website built for them and wants a handy reference book to help them update their own website without having to keep going back to the developer. 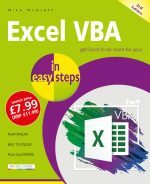 "I bought this book in the hope of building my own blog and it really helped me learn the basics, as well as some cool features like building my own online store. 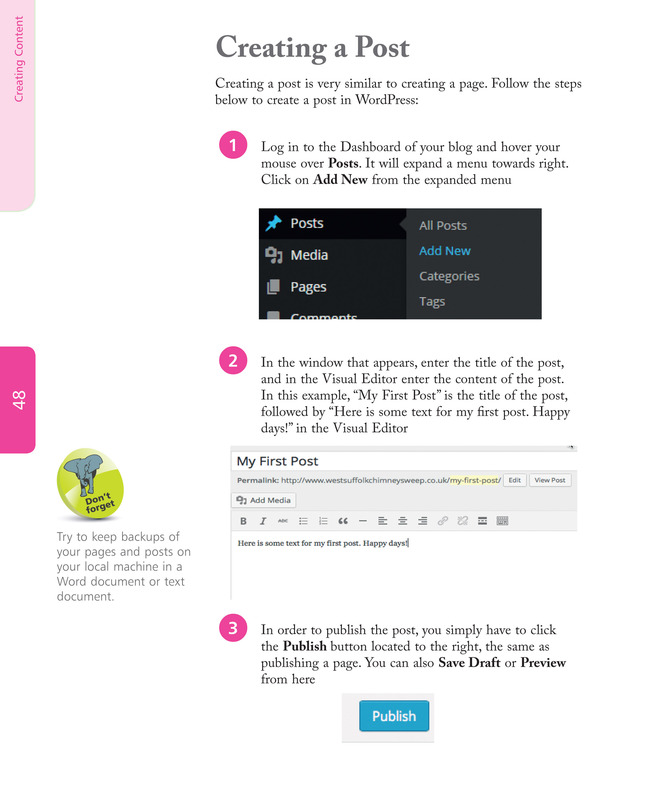 I never knew you could actually do so much with Wordpress. 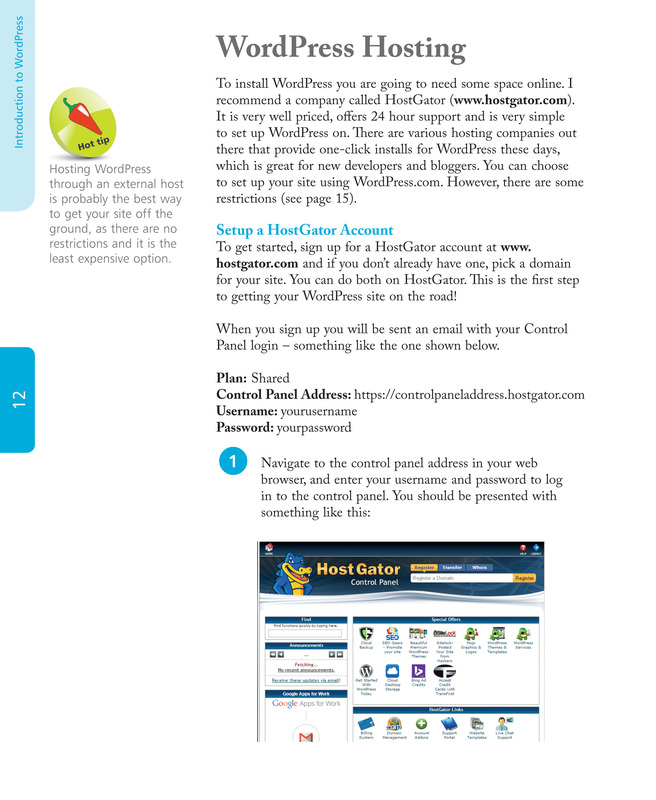 The book starts off slow and introduces the user to Wordpress at a beginners pace, which was great for me. Later in the book it gets into more advanced features, so this could be handy for those wanting to learn even more things you can do with the tool. I am a big fan of the In Easy Steps series, and this book did not disappoint." "WordPress is something I have been looking to learn for a while, and this book has really been handy to help me get my website off the ground. I knew quite a lot of things at the start from previous experience, however it really went from the basics all the way to advanced detail. It went through all the best plugins and how to set them up correctly and there is also a bit where you can create your own theme, which I may try at a later date." 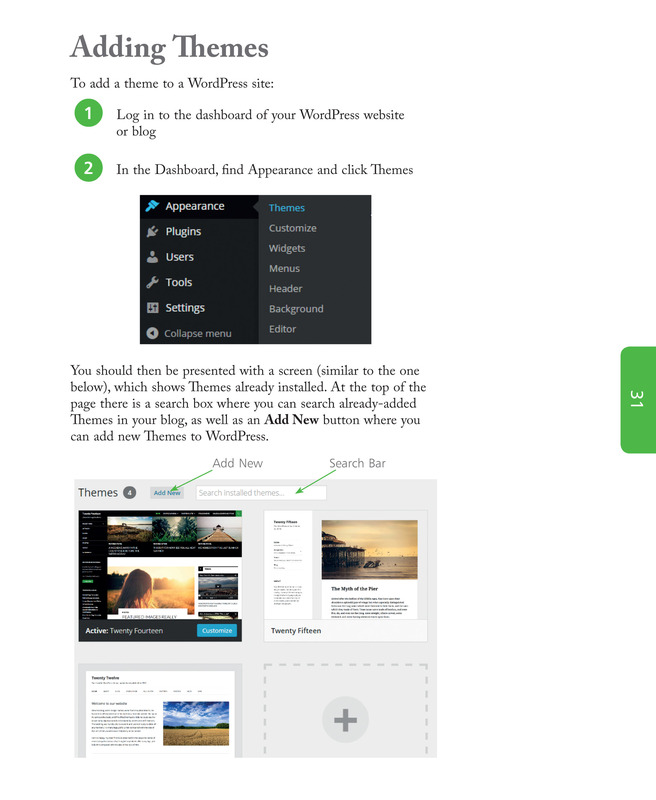 "Easy to read and understand, would recommend for anyone looking to set up their own Wordpress website, hosted or not." Darryl Bartlett has a wide experience in the world of web design and development especially using the WordPress platform. He first got into Web Development during his studies at West Suffolk College building basic websites using HTML. He has since gone on to build his skill set and worked with top companies like Fellowship Productions, Printing.com and Jagex. He also builds websites for local businesses on a freelance basis, and works on apps for various platforms.